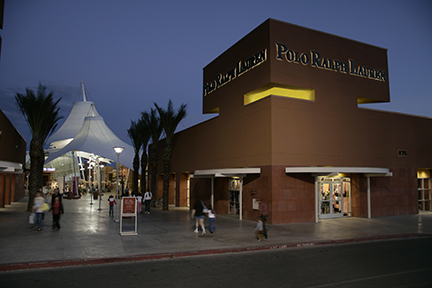 Las Vegas Premium Outlets is located in central Las Vegas, approximately 2.5 miles from “The Strip.” The Center occupies a prominent, triangular, 39-acre site bounded by Interstate 15 and Grand Central Parkway. 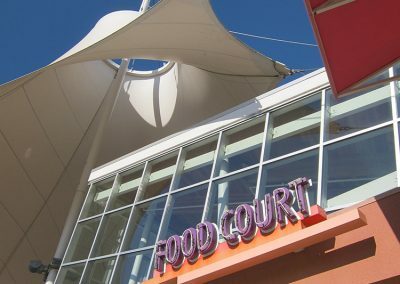 The project accommodates 122 stores, a central food court, 1,363 parking spaces, required back-of-house facilities, and various covered auto drop-off, bus stop, and taxi locations. 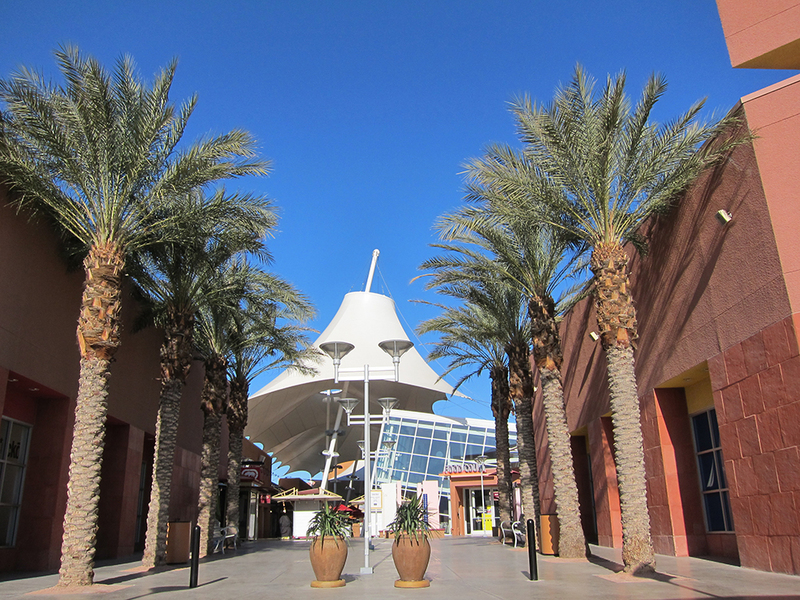 The architecture employs and references traditional structures of the American West, the modernism of the Mexican minimalists, current high-tech tensile structures, and the visual panache of the signs, directories, kiosks, and fountains. It is architecture of light, shade, and shadow. 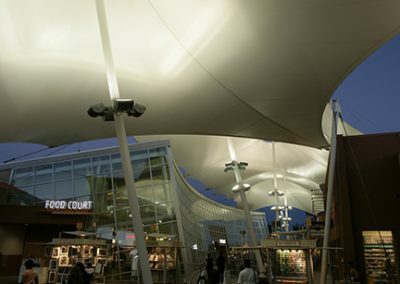 A handsome center was created that met and exceeded the Owner/ Developer’s criteria which included meeting the political aims and the planning efforts of the City Officials and the Planning Department. 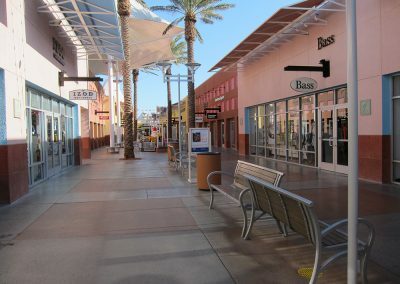 The site on which the center rests is part of a large parcel of land left empty when extensive railroad yards were abandoned and purchased by the City of Las Vegas. Politicians had promised good things would happen, and extensive master planning, aided by community involvement, followed. 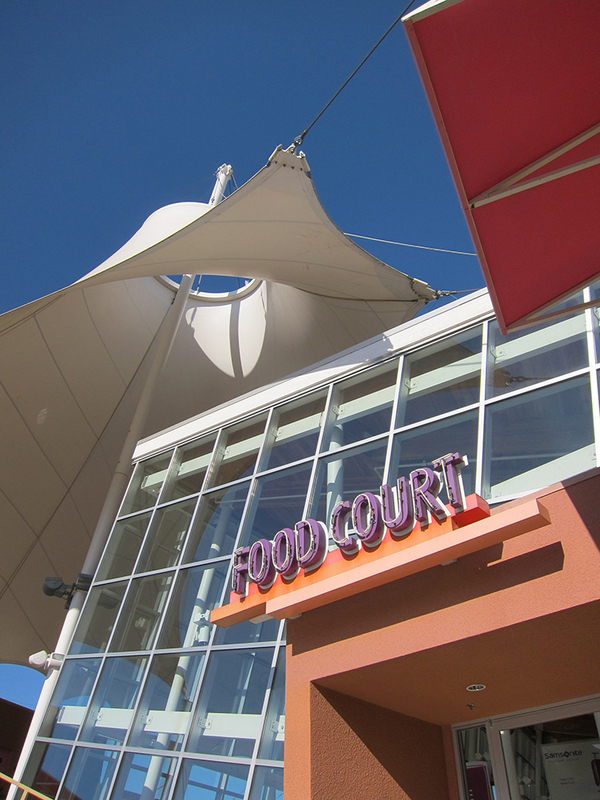 The Developer folded this project into the program and received overwhelming approval from all involved parties. 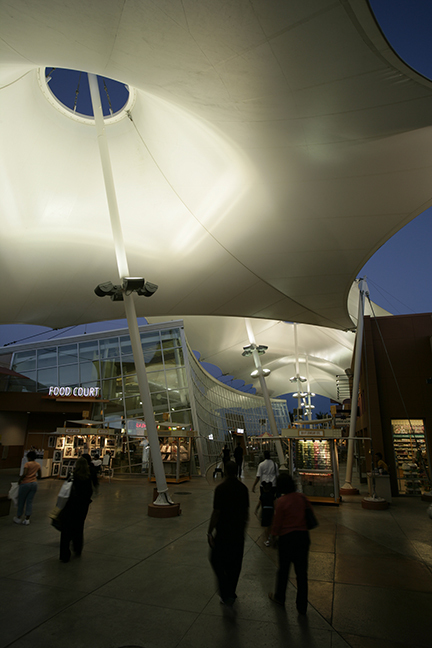 The center played an integral role in an important, new, mixed-use area of Las Vegas. 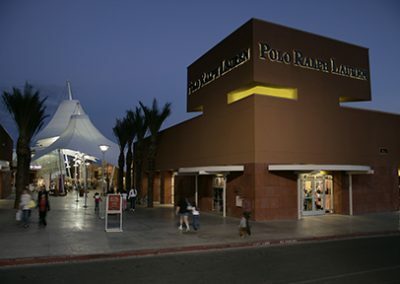 Within its genre, the center provides a quality shopping experience for the Las Vegas area residents and tourists alike. The project is fiscally successful for developer and shareholder. 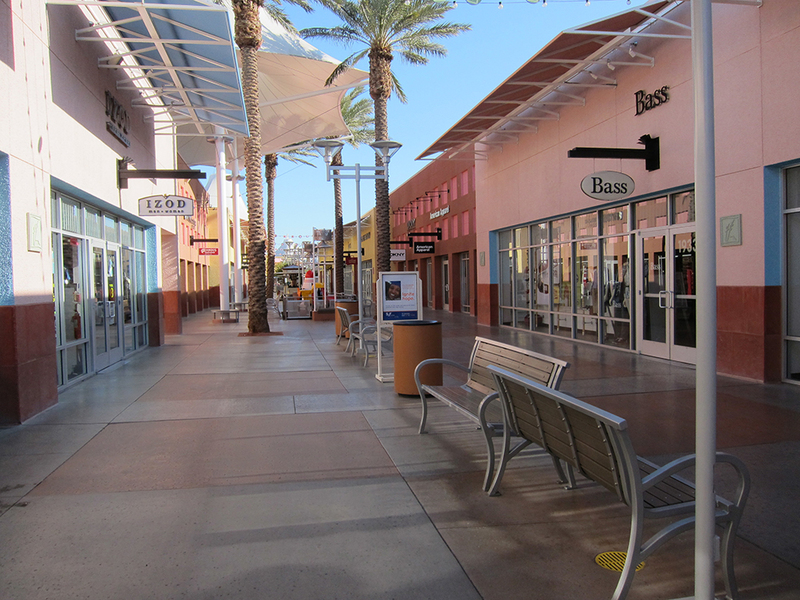 It completed a part of a major master plan area for the City of Las Vegas. 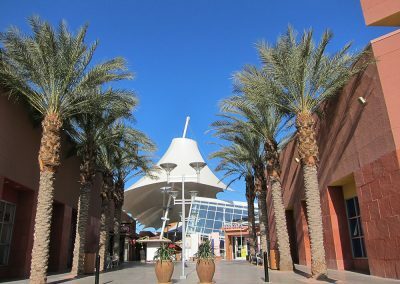 By example, it educates the community in ecologically sound, dry-climate landscaping.